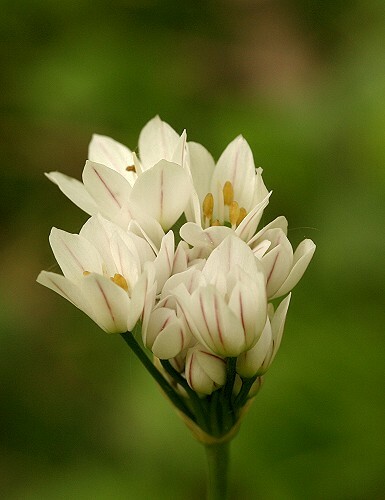 Hairy Garlic is a native of the Mediterranean region but is grown in gardens in Britain. This one is an escapee since we did not plant it. 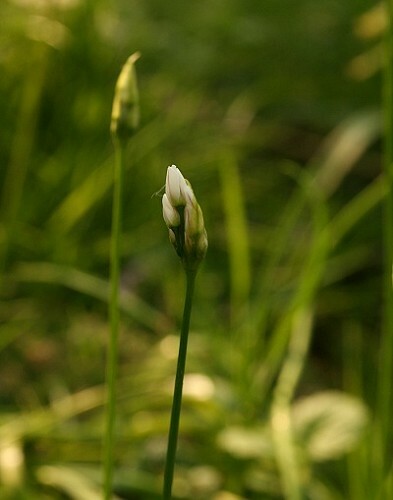 The leaves are long and narrow with tiny hairs running along the edge. When bruised they smell of onion. 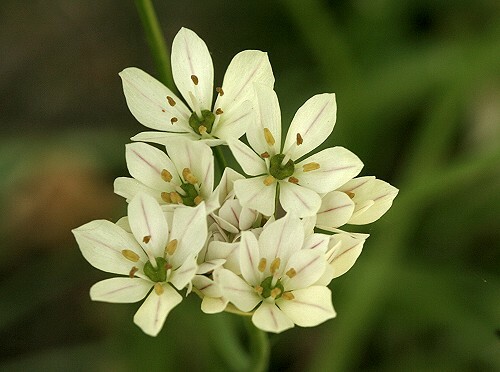 The flowers comprise six white petals with a faint pink line running lengthwise.